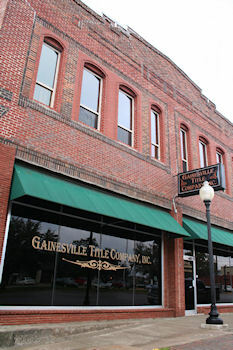 Gainesville Title Company offers escrow and settlement services, and title insurance. Consider us for you Cooke County Title needs. Judgment - A decree of a court. In practice this is the lien or charge upon the lands of a debtor resulting from the Court's award of money to a creditor. See "Judgment Lien." REIT(Real Estate Investment Trusts) -- A method of investing in real estate in a group, with certain tax advantages. Federal and state statutes dictate procedure.